Mouse is my kind of girl! She isn't much of a shoe shopper, but she doesn't like to let them go once she has them. go Mouse! lots of to choose from. Nice storage system! I don't like getting rid of shoes either. Carole - Thank you! I had to do something so we weren't always tripping over shoes. So funny, girls (of any age do love shoes). 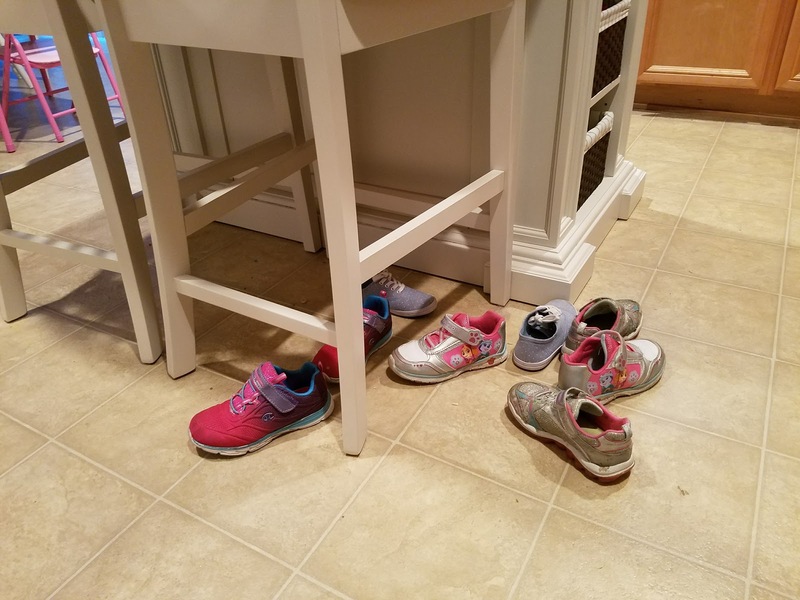 Diane - I'm definitely not a shoe person, but my daughter does have quite a few. I think it's mostly because she goes through them so fast and hates throwing any out. She hate to shoe shop though. Probably gets that from me. 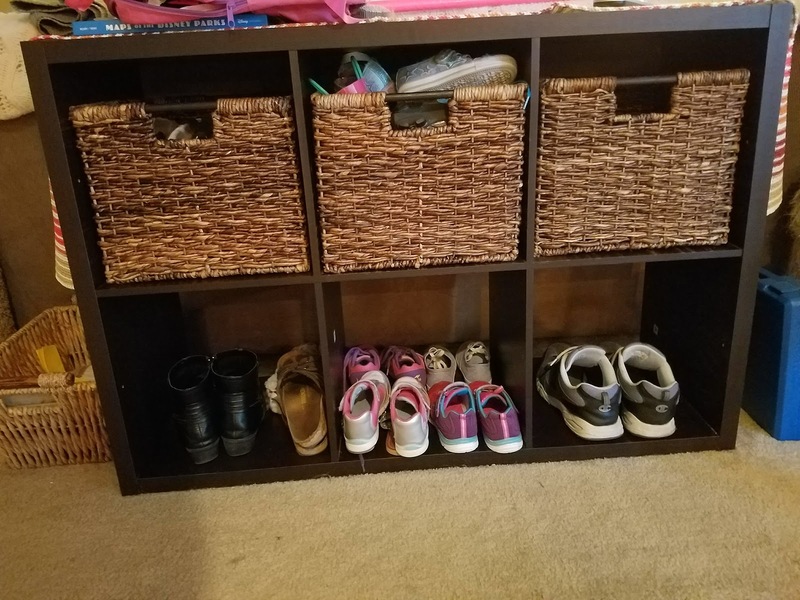 I need a storage system like that in my house for shoes. Both my son and husband are famous for leaving theirs scattered all over the kitchen floor. I love the storage! I swear shoes reproduce when I'm not looking because they always seem to be everywhere. Katherine - I think they reproduce as well. And the washer eats the socks . . .
We have a shoe problem in our house too. I have baskets but the baskets are full and with a two story house and them having to take off their shoes when they get home, I have shoes all over the place. I hate it with a passion and really get grumpy over it. Bah! Ti - I get grumpy over it too! I have bad news - my 22yo still has more shoes than either my hubby or I and can't manage to keep them from moving out into the house! Lisa - I think my husband is more taken aback by the amount of shoes she has than I am. Part of the problem is her unwillingness to let go of any of the ones that don't fit anymore. I have a tendency to make them disappear when she's not looking (and she rarely notices), but my husband makes a big deal about it which starts the water works and then we end up keeping them. It's very comical, really.